Emil Busch A.G. or Ratenower Optische Werke was founded by Heinrich August Duncker and started with making eyglasses in 1790. Eduard Duncker took over and created world wide sale possibilities. Emil Busch wrote new chapters on the production of other optical devices such as lenses and cameras. 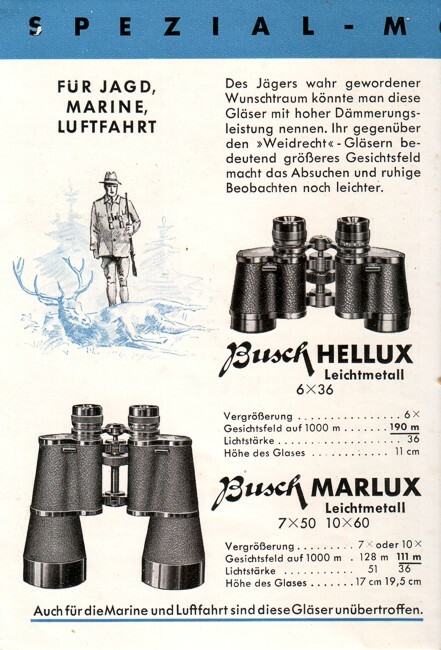 In the 30-ties Busch started producing for the German army. Advertising for the civil market. 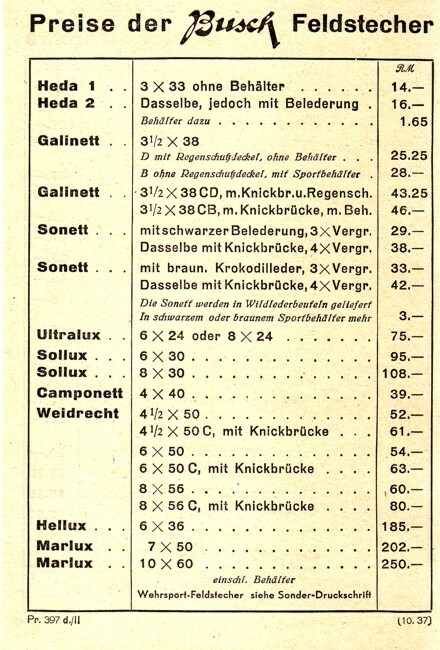 The list with the prices, the date is 1937.